PONT NEUF – LA MONNAIE is a station on the Paris Métro network. 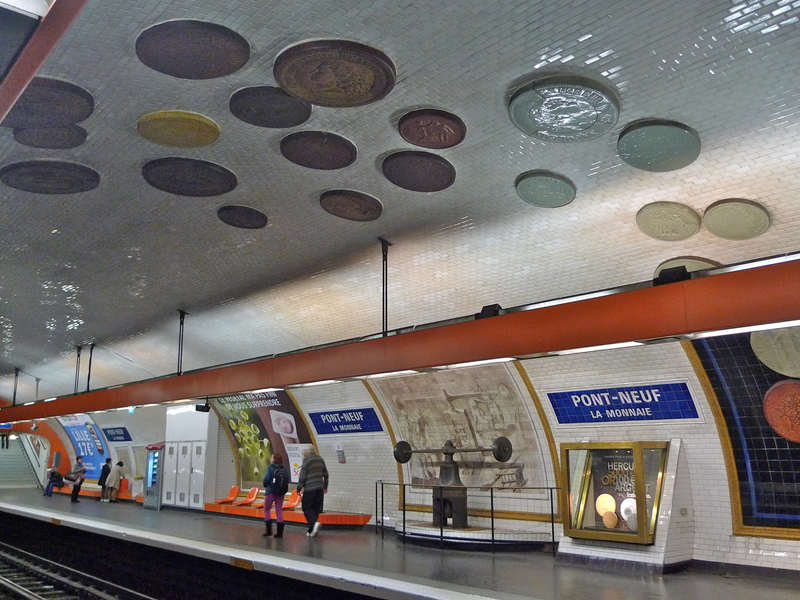 All the Paris Métro stations, and the bus stops for that matter, are named after people, places or events that are significant to France and the French and in some Métro stations, like Pont Neuf – La Monnaie, the interior design reflects the station’s name and its associations. Pont Neuf – La Monnaie station is part of Métro Line 7 and it’s situated on the Right Bank of the Seine. The trains run through the station on an east – west axis parallel to the river. 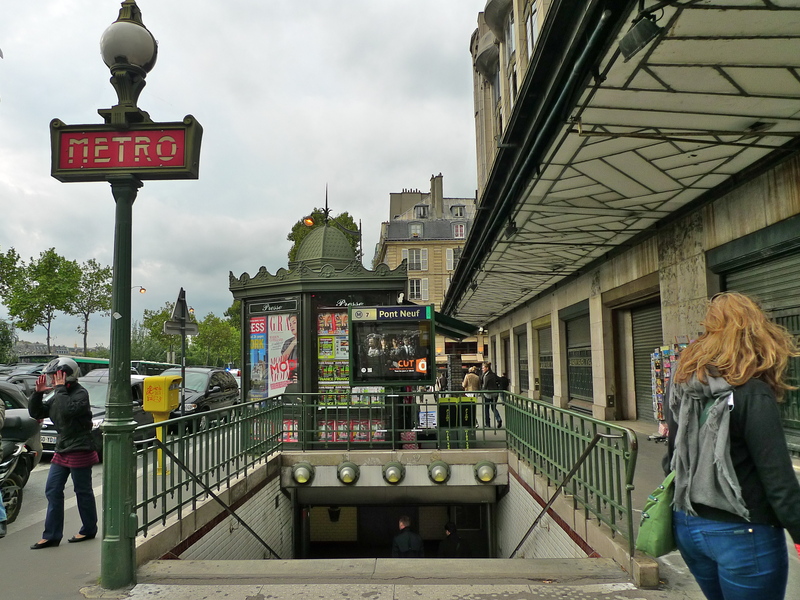 There are two entrances to the station both on the Quai du Louvre, one is right outside the former La Samaritaine department store and the other is across the Quai du Louvre at the northern end of the Pont Neuf. Why this Métro station should be called Pont Neuf is obvious since it sits at one end of the Pont Neuf, or New Bridge, which, despite it’s name, is in fact the oldest bridge in Paris. 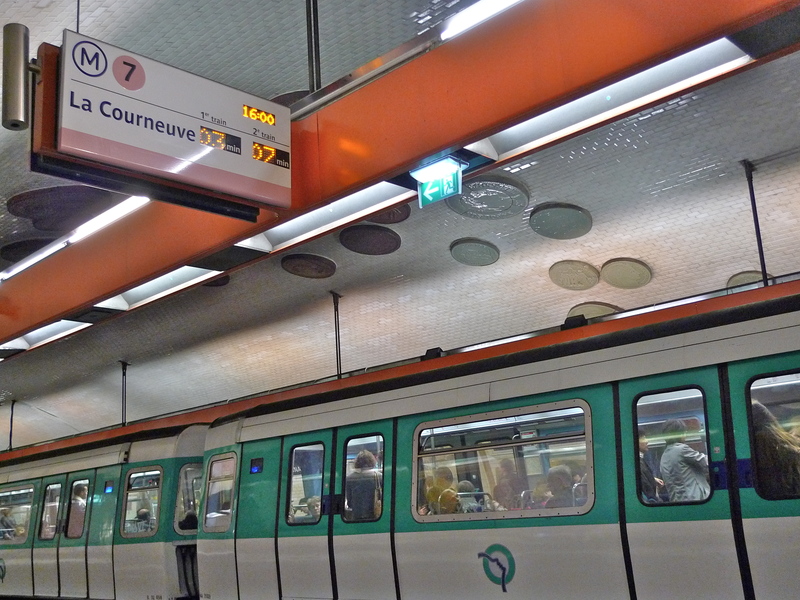 But what about the second part of the station’s name, La Monnaie, where does that come from? Well, across the Pont Neuf on the Quai de Conti running parallel to the Left Bank of the Seine is the Hôtel de la Monnaie which houses the Monnaie de Paris, the French mint. 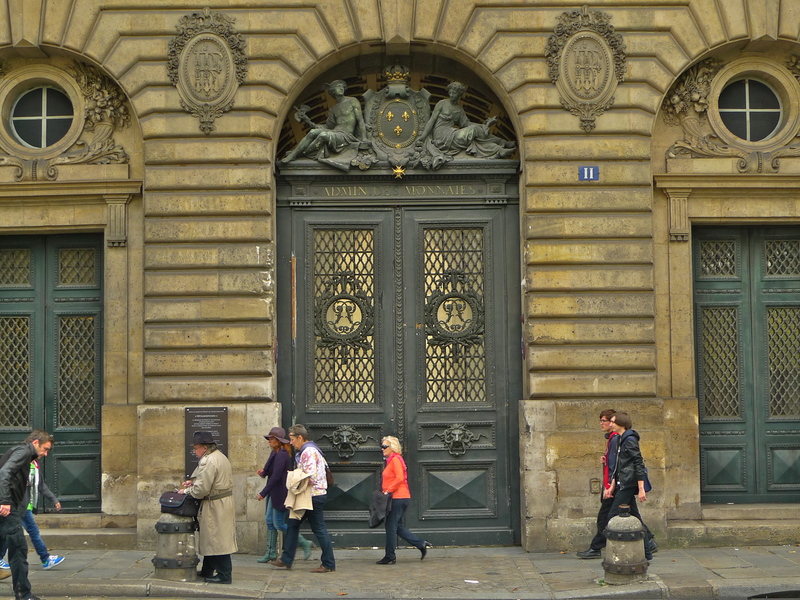 The Monnaie de Paris has had several homes over the years and for some time it occupied a building in the rue de la Monnaie which today bisects two of the buildings that make up La Samaritaine. One end of the rue de la Monnaie abuts one entrance to the Metro station Pont-Neuf – La Monnaie. Created in 864, the Monnaie de Paris is France’s oldest institution and it’s responsible for striking and circulating coins. It strikes the official French Euro currency as well as producing collector’s coins, medals, official decorations, works of art and even jewellery. In addition, it also strikes several foreign official currency coins, whether in their entirety (as in the case of Luxembourg, Monaco, and Malta) or in part (as for Greece, Bangladesh, etc.). 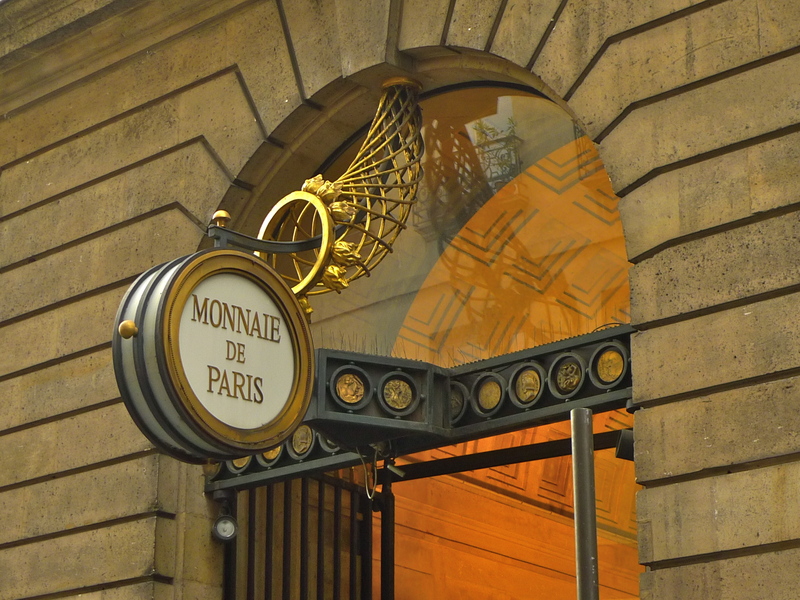 Employing some five hundred people, the Monnaie de Paris operates from two sites. 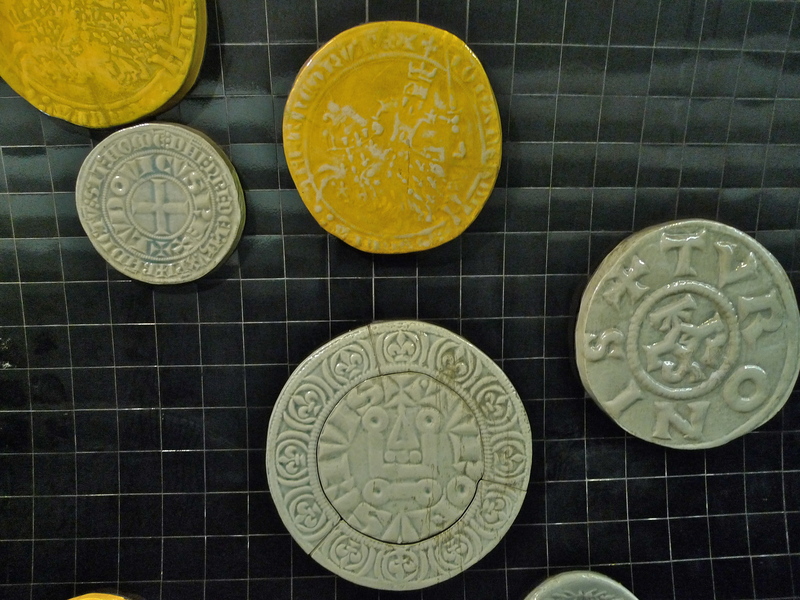 On the Quai de Conti in Paris they strike special coins, medals and decorations from precious metals but the everyday circulating coins are struck at the site in Pessac in the south west of France. The Hôtel de la Monnaie on the Quai de Conti is a neo-classical building designed by the French architect, Jacques-Denis Antoine, and built between 1767–1775. Today, it houses the administration of the Monnaie de Paris, a manufactory and a numismatics museum which is open to the public. 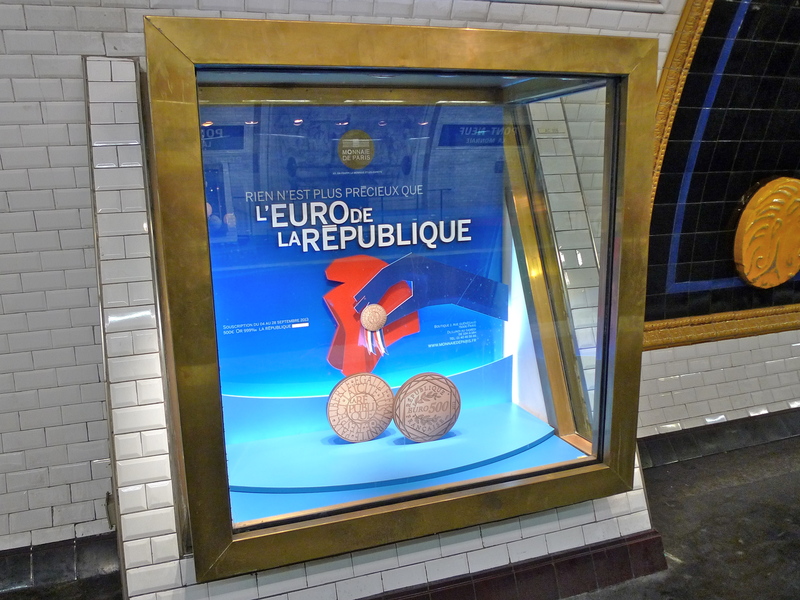 And inside the Métro station Pont Neuf – La Monnaie, as well as listening to the trains passing to and fro, we can see the association with the Monnaie de Paris reflected in the interior design. … and some on the walls. 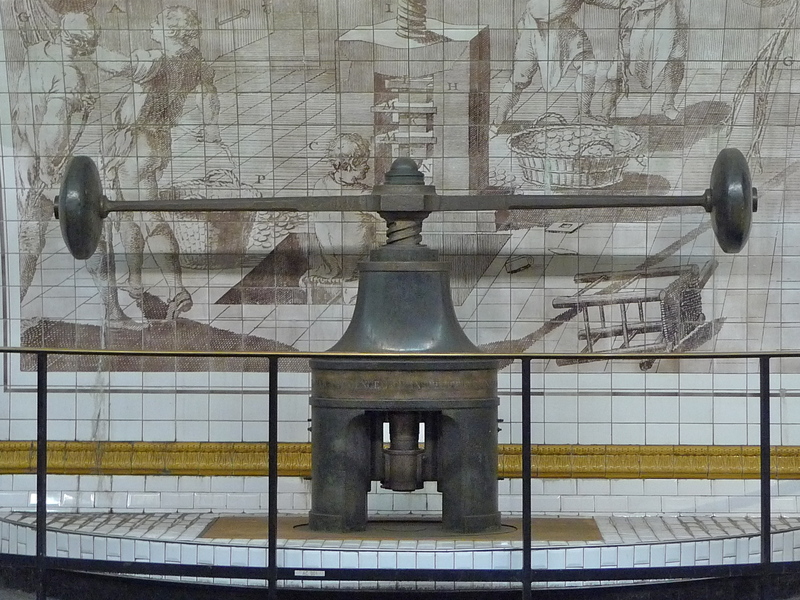 Display cases show different aspects of the work of the Monnaie de Paris and there is also an historic coin press. 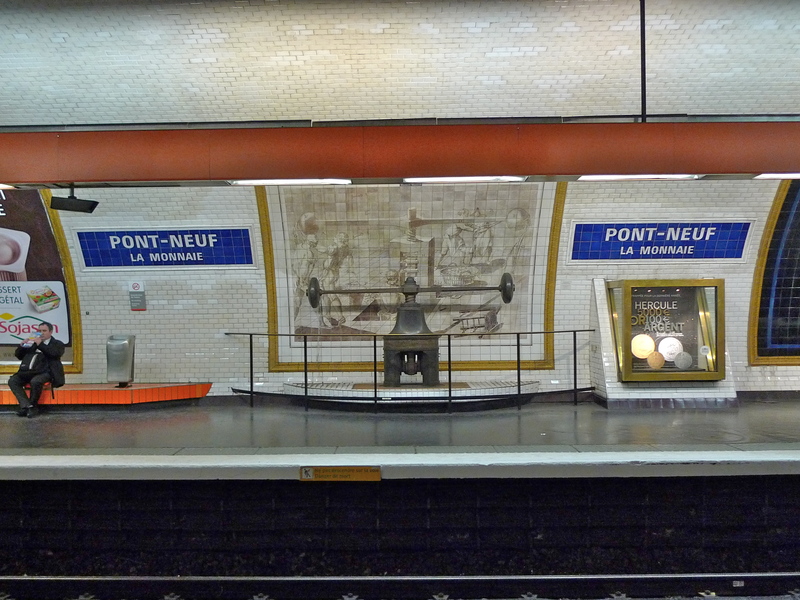 Visiting a station like Pont Neuf – La Monnaie can turn a mundane wait for a Métro train into a fascinating experience. 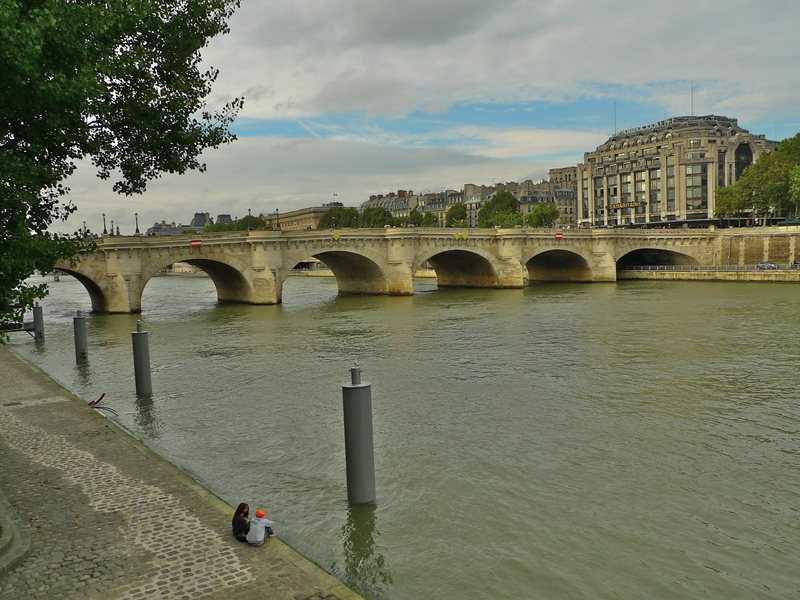 And as for the Pont Neuf – well, I’ll come to that in another post.